Lumber merchant, MLA (1892-1895), MLA (1896-1899). Born at Penpont, Dumfriesshire, Scotland on 28 May 1837, son of John McNaught, the family emigrated to Canada in 1845 and settled at Brantford, Ontario. They later moved to a farm near Mitchell in Perth County, where he learned the blacksmith trade. For several years he conducted a blacksmith business and wagon shop at Seaforth, Ontario. Graduating from the Ontario Veterinary College in 1872, he came to Manitoba in 1881 and settled at Rapid City. There he operated a lumberyard. He and wife Rebecca Ross (?-?) had eight children: Margaret McNaught (c1865-?, wife of George S. Stone), John McNaught (c1866-? ), William J. McNaught (c1868-? ), Thomas McNaught (1870-? ), Bernard R. McNaught, Carrie McNaught (1876-? ), Mabel Emily McNaught (1877-?, wife of Hampton Hindson), and Laura Sarah McNaught (1880-?, wife of George N. Hindson). 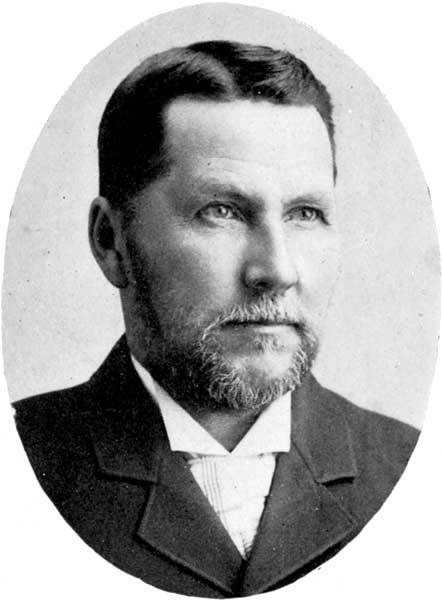 He served two terms in the Manitoba Legislature, representing the constituency of Saskatchewan, being elected in the 1892 and 1896 general elections. He died of influenza at Rapid City on 10 August 1922.